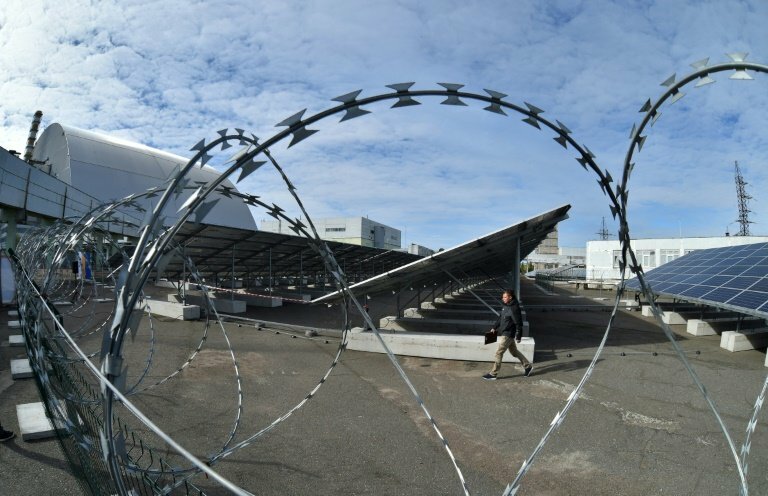 Ukraine launched Friday a park of photovoltaic panels at the former Chernobyl power plant as the country seeks to use solar power to give the scene of the world's worst nuclear disaster a new lease on life. 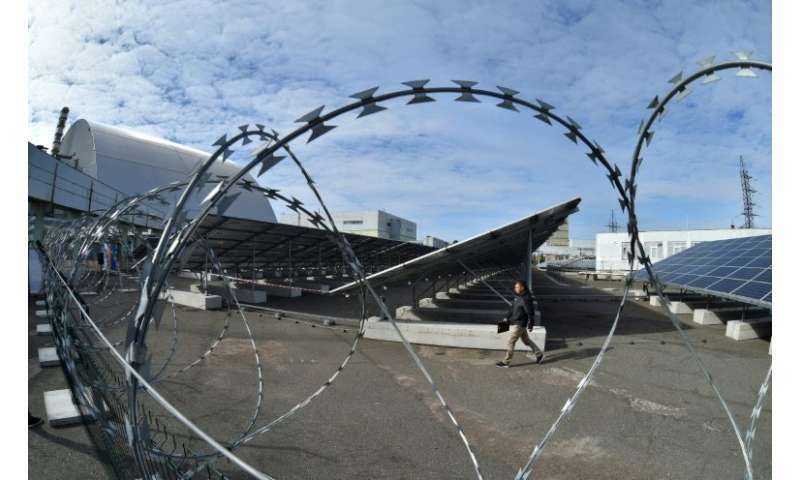 The 1 million-euro ($1.2-million), one-megawatt plant is located just a hundred metres (yards) from a giant metal dome sealing the remains of the the nuclear power plant which suffered a catastrophic meltdown in 1986. 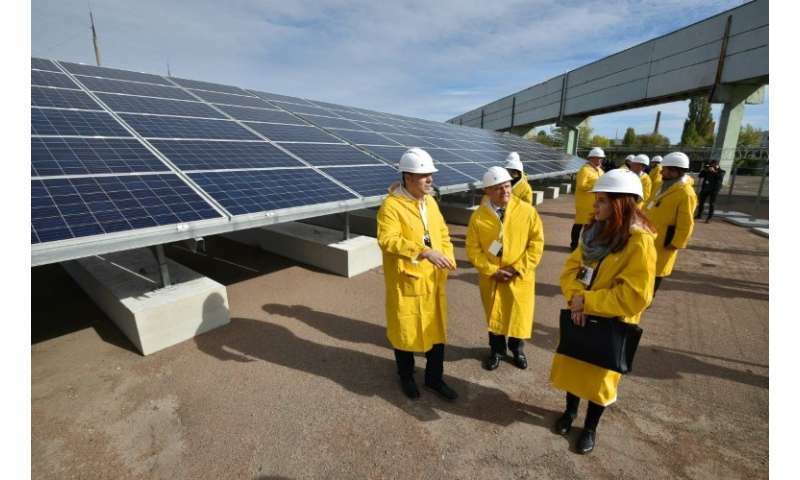 "Today we are connecting the station to the power system of Ukraine," Yevgen Varyagin, the head of Solar Chernobyl, a Ukrainian-German company behind the project, said at the launch ceremony. The facility, which is installed across an area of 1.6 hectares (4 acres), can power a medium-sized village, or about 2,000 households. Plans are to eventually produce 100 megawatts at the site, which due to contamination from radiation cannot be used for farming. Ukrainian authorities have offered investors nearly 2,500 hectares to construct solar panels, and beside the cheap price of the land the site is also attractive as it offers connections to the power grid. 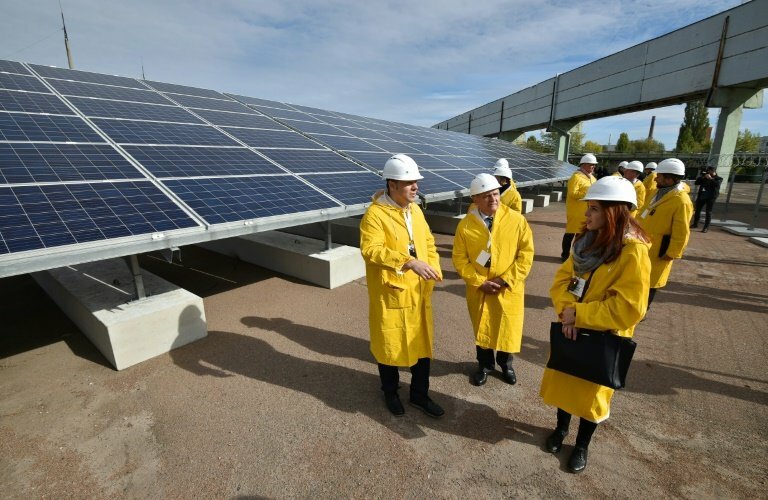 Foreign investors are attracted by the price at which Ukraine will buy the solar power, which exceeds the European average by 50 percent, according to experts. Ukraine, which has stopped buying natural gas from Russia in the last few years, aims to diversify its electricity generation. Reactor Number Four of the Chernobyl plant exploded April 26, 1986 and the fallout contaminated up to three quarters of Europe, according to some estimates, especially hitting Russia, Ukraine and Belarus. Following the disaster, Soviet authorities evacuated hundreds of thousands of people and the vast territory—over 2,000 square kilometres wide—has remained abandoned. The other reactors were only gradually shut down, with the last closing in 2000, ending industrial activity in the area. Humans cannot return to live in the zone for another 24,000 years, according to the Ukrainian authorities.